BEIRUT, Lebanon (FIBA Asia Cup 2017) - Australia became the first-ever FIBA Asia Cup champions after beating Iran 79-56 in Sunday's Final in Beirut. The Boomers jumped out to a 12-2 lead early on and never looked back on route to a comfortable victory. 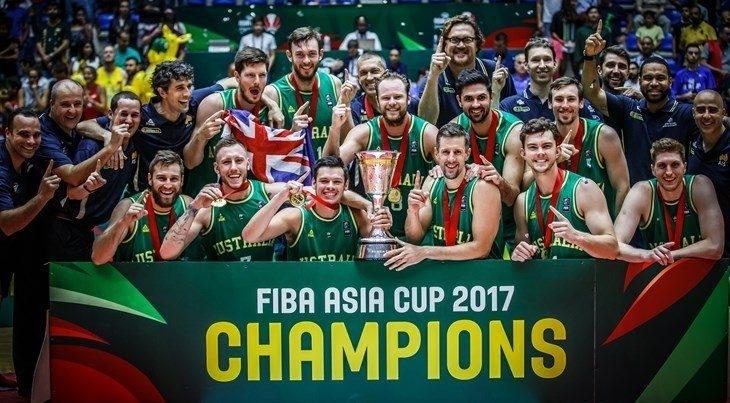 Brad Newley had a team-high 18 points for Australia, while Daniel Kickert added 14 and Mitch Creek, the team's leading scorer in the competition, chipped in with a dozen of his own. Iran's Hamed Haddadi was named the tournament's MVP and headlined the All-Star Five where he was joined by his fellow countryman Mohammad Jamshidi, along with Shae Ili of New Zealand, Korea's Oh Sekeun and Lebanon’s Fadi El Khatib. Earlier in the day, Korea upended New Zealand 79-56 in the battle for third place.